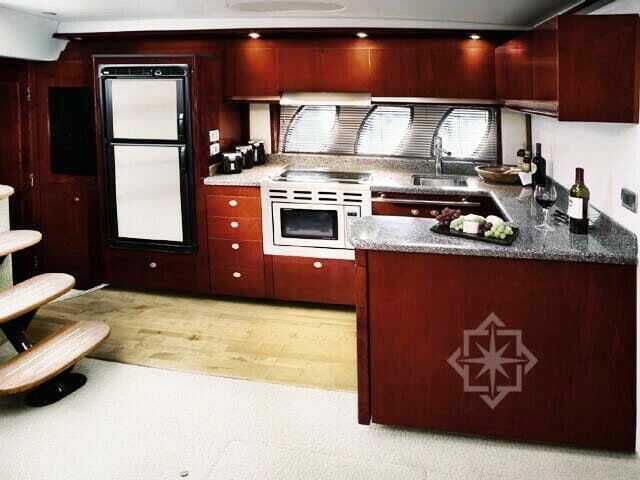 The gorgeous curves and aerodynamic profile of the 48′ Searay Sundancer are sure to attract attention. She offers the living space, features, and seaworthiness of a much larger yacht. A favorite among yacht charters. In addition to a large cabin, solid-surface countertops, handcrafted hardwood cabinets and trim with cherry-wood finishes. Not to mention a comfortable Salon with L shaped leather sofa, Galley fully equipped with a microwave/convection oven, two-burner stove and full sized refrigerator. This ingeniously designed and beautiful vessel is nothing short of inspired amongst the various yacht charters. For entertainment a 26″ LCD flatscreen TV and DVD player is included. The entertainment center is beautiful with etched glass and stainless-steel accents, along with a Sirius® Satellite Clarion® stereo system with CD changer and amplifier/speaker system. 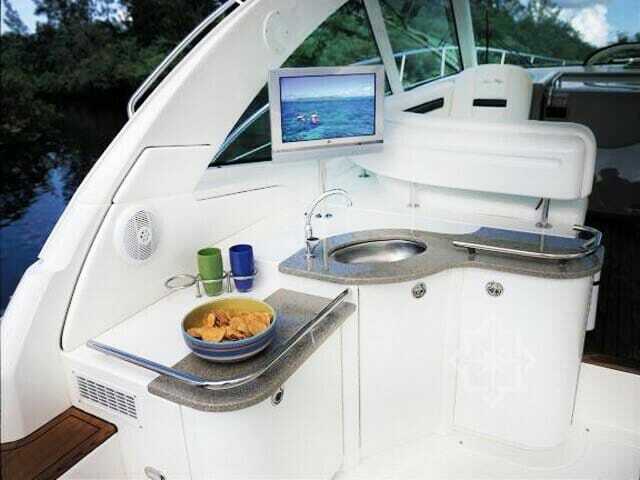 The exterior of the yacht features a sunpad at the bow, Tv, Wet Bar, U shaped seating and a retractable sunpad at the aft as well. 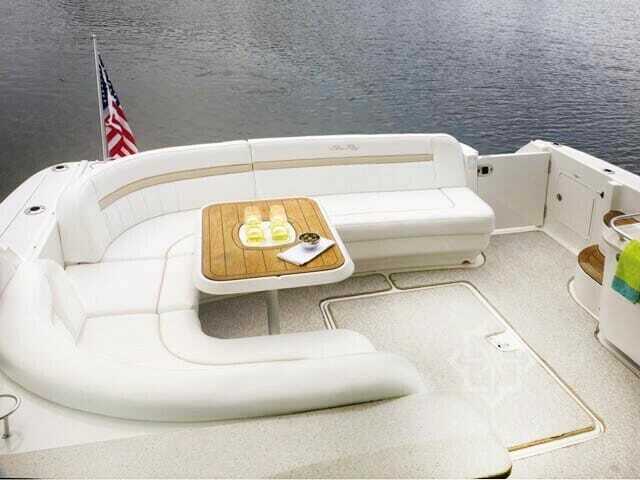 This yacht is the perfect size and comfort for a small group looking to cruise around the Miami waters. 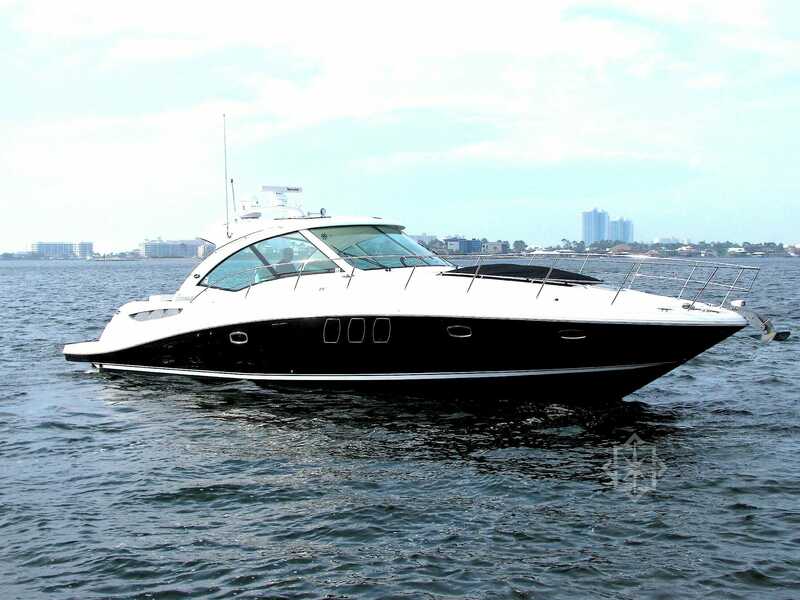 StarLux Yachts offers Yacht Charters in Fort Lauderdale, Miami, the Florida Keys and Bahamas. Contact us for our expertise in yacht charters. Experience class and comfort, from our fleet of yachts ranging from 34 foot to over 100 feet. We offer the world’s most luxurious yacht charter fleet to select from.